Bonnie sent me directions on how to find her for the interview – they were very Naples. They took me just beyond the junction of the vicoletto and the vico, (both with the same name), to the shop sign. There I rang the buzzer to her apartment in the palazzo above. A door opened to a courtyard, where the directions then led me to another doorway and a flight of stairs. I could hear Bonnie way before I could see her. 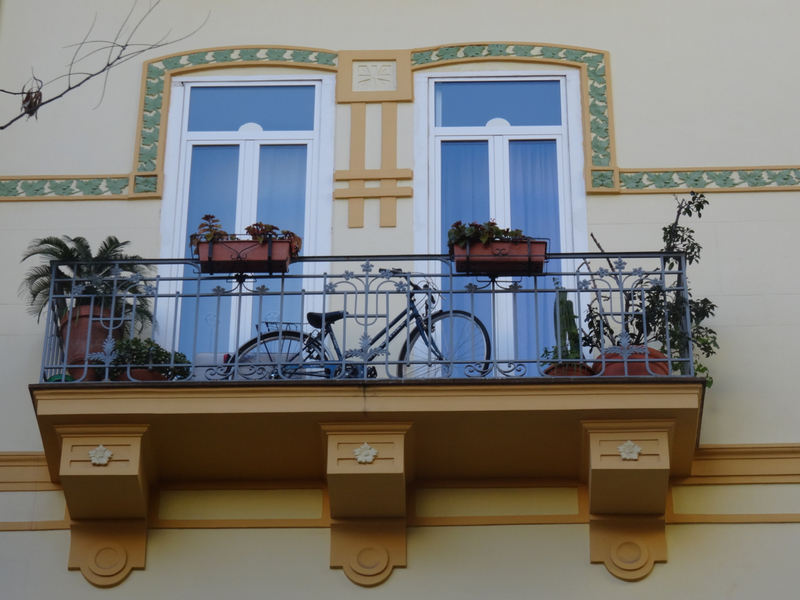 Her small apartment, full of art and warmth, looks out over the narrow street in Chiaia where I had just pressed the buzzer – it felt a whole treasure hunt further away. Now they are in the midst of change. Her impression of the city as a whole? Had there been any surprises when she arrived. 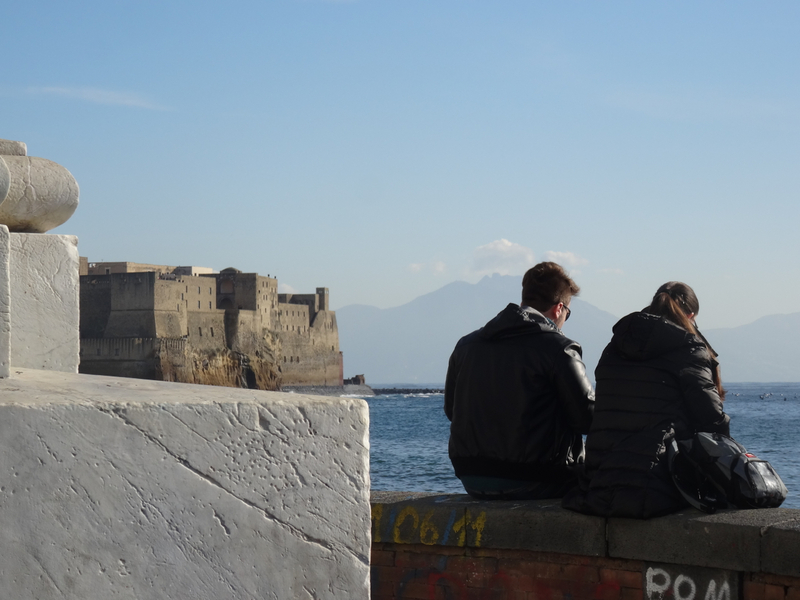 First a website and now a book as well: “The Napoli Unplugged Guide to Naples”. 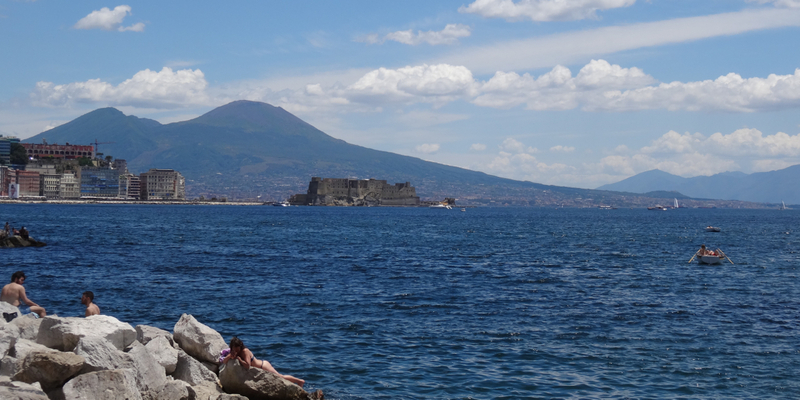 The website, constantly updated and in English, is Napoli Unplugged. 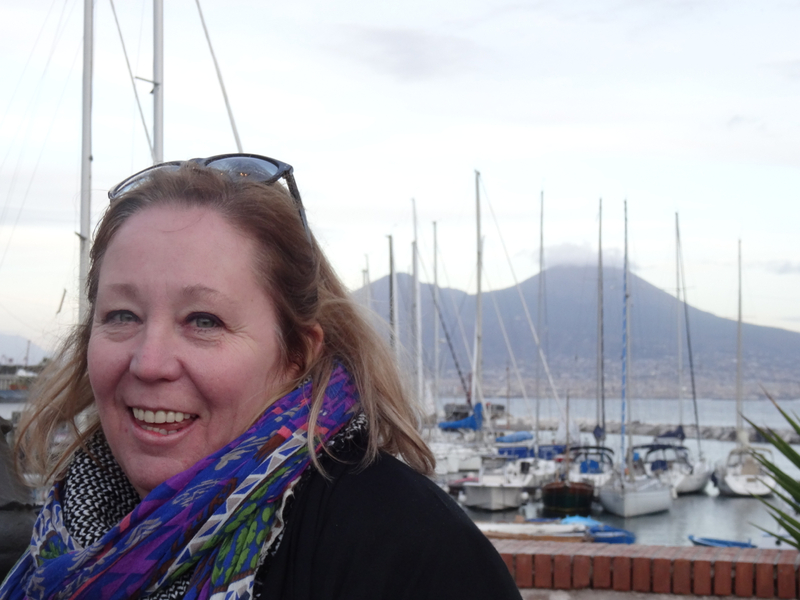 There is also a book, the Napoli Unplugged Guide to Naples, published in 2015 which has four authors – Bonnie is one of them. The book is not a typical skeletal, functional guide; rather it illustrates, photographs, knows and reveals Naples. I ask Bonnie about her background. Her first career was to do with electronics and hardware configuration; then, she moved towards the arts by way of an interior decoration business followed by a degree in historic preservation. All that was before Naples – the city her husband had known all his life and that he longed to return to. They arrived together in 2005. What does she enjoy the most about life in the city? 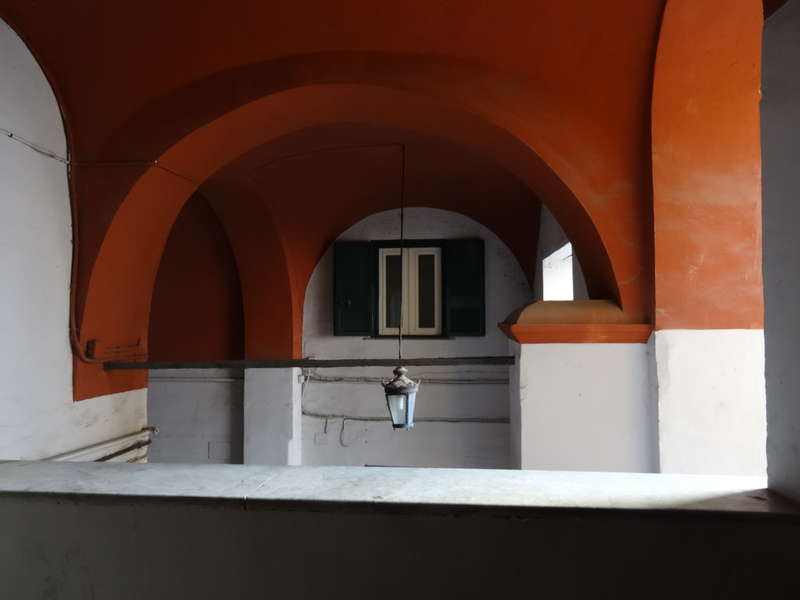 Her advice for visitors is to start any visit at Castel Sant’Elmo: “I love the views from there”. And then to: “explore the stairways”. She says that part of the reason the city merits such time is that it is built on hills. The interview, on a beautiful January morning, ends with a stroll on the Lungomare in glistening sunshine. A few young couples linger by the sea. Bonnie is in no doubt that “the society is changing rapidly”. 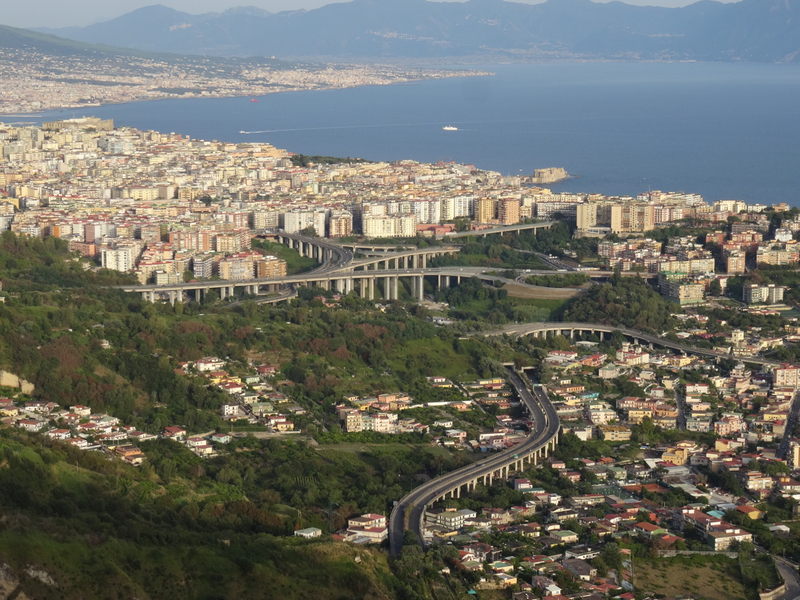 Perhaps the developments and the new interest in Naples – “they had a record number of people on the Lungomare for New Year’s” – will bring enough opportunity, and the right opportunity, for the heart of Naples to stay at home. My thanks to Bonnie Alberts for the interview and for her time. This is a link to the website of Napoli Unplugged put together by Bonnie with more information on her work. 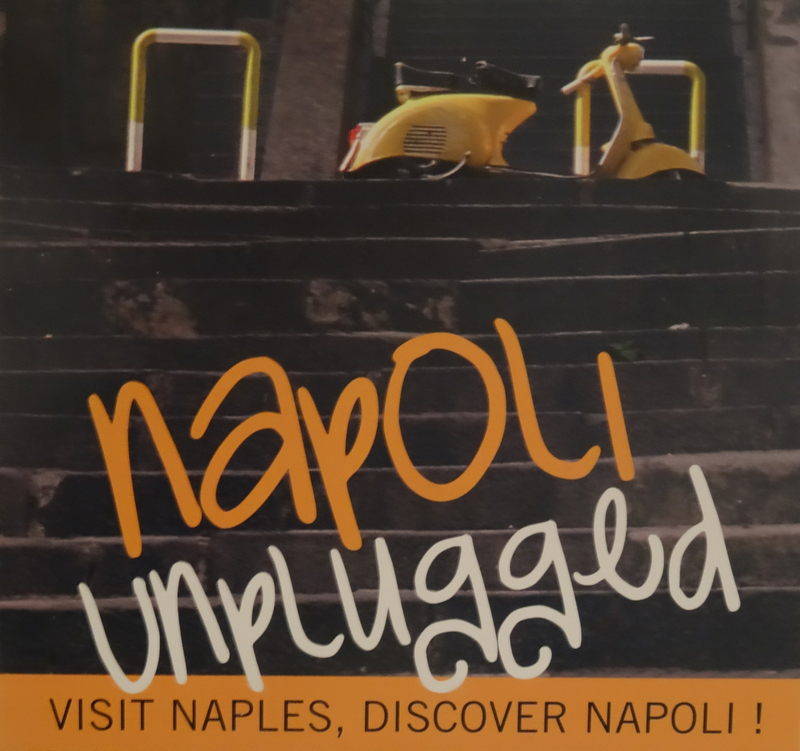 If you are interested in the Napoli Unplugged Guide to Naples here is a link to the Amazon website for further information as well as user reviews. 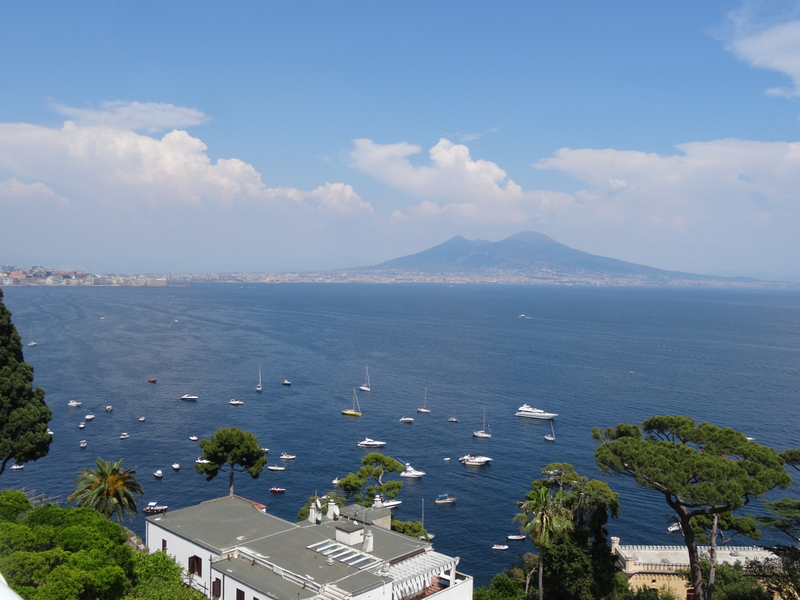 This entry was posted in Authors, Interviews, Italy, Naples, People, Publishers, Publishers and tagged Bonnie Alberts, Chiaia, interview, Italy, Naples, Napoli Unplugged, palazzo, Posillipo, tourism. Bookmark the permalink. 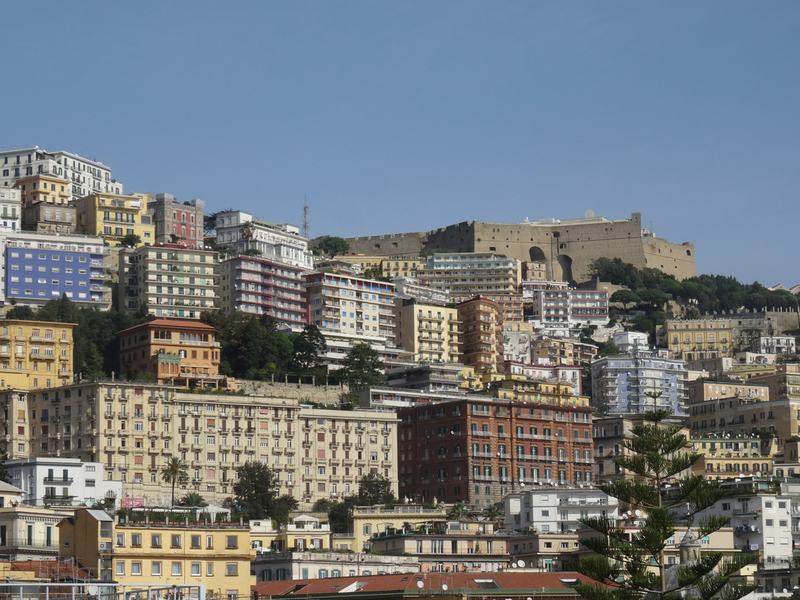 A look back (first published 11 January 2016): I have to declare an interest here … if it wasn’t for Bonnie Alberts and the power of Napoli Unplugged I know my writing about Naples would have fizzled into nothing. 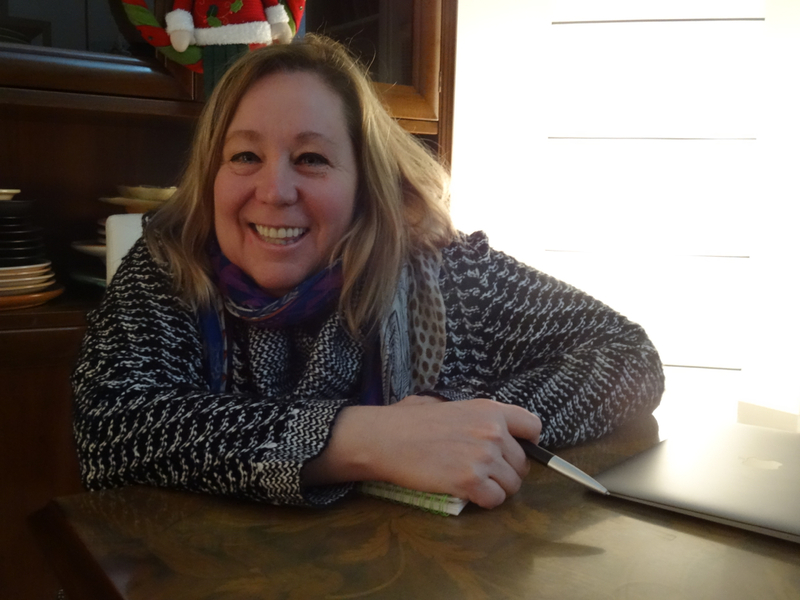 Somehow she, and Penny Ewles-Bergeron, found The Phraser and their encouragement keeps coming. 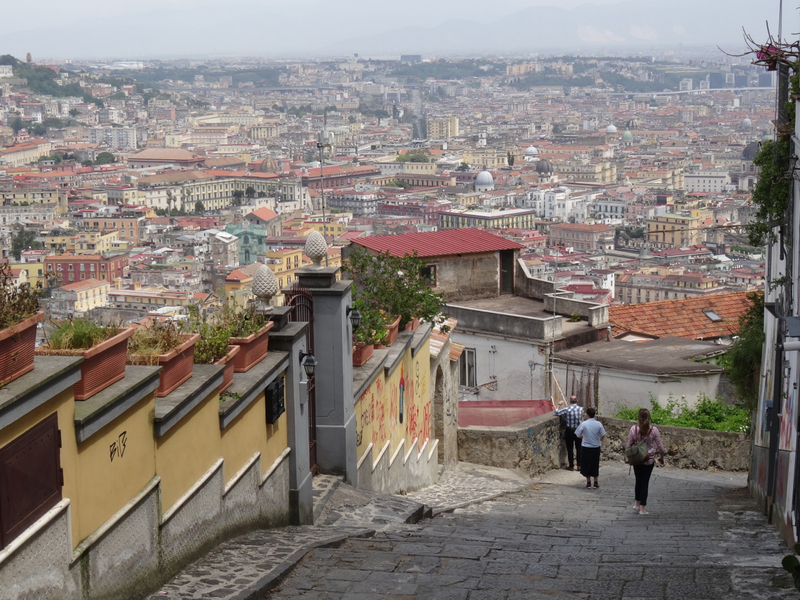 So … how did I begin to find my way around Naples? 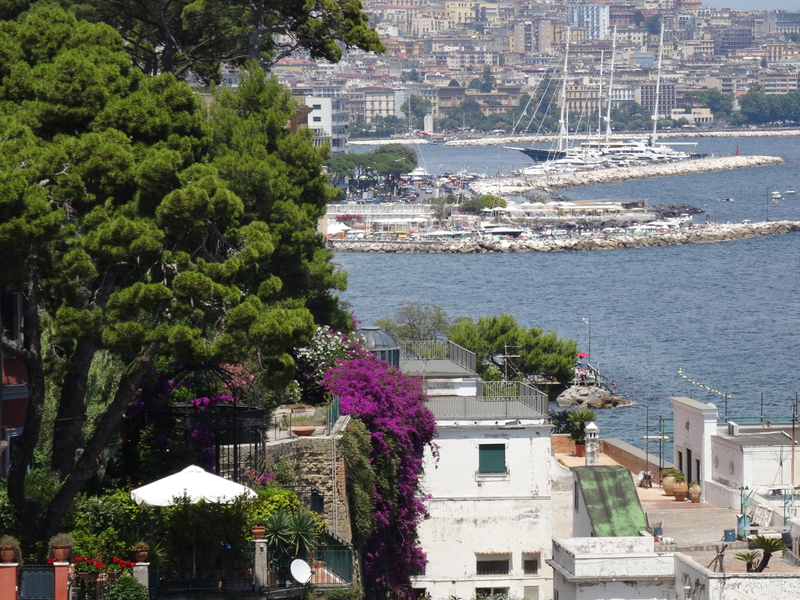 One of first ways in was with the website Napoli Unplugged and later with the book – the Napoli Unplugged Guide to Naples. Of course there were others but none of them had Bonnie Alberts based in the centro storico, keen to communicate (in English! ), and passionate about the city. 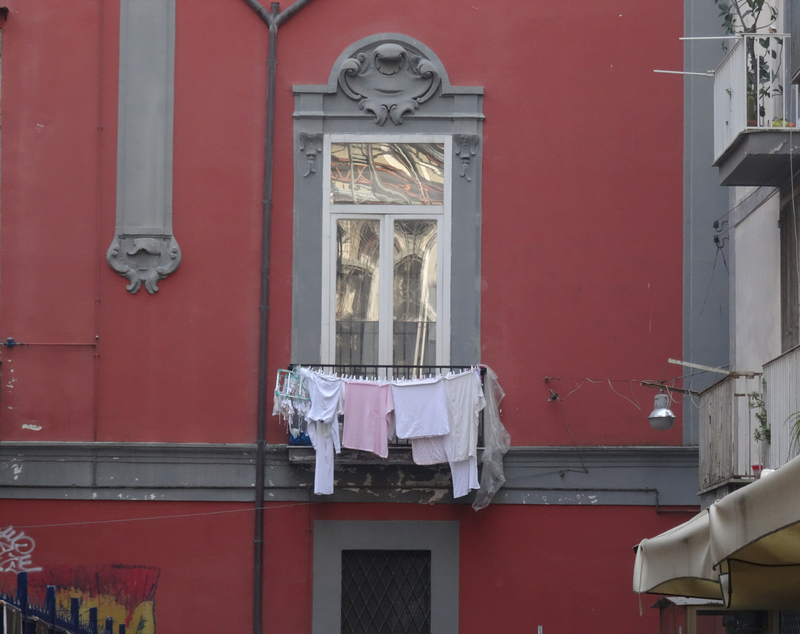 A top tip (and it’s not because of the debt owed) is that if you want to explore Naples, either in person or from your sofa, their guidebook is like a richly carved doorway into the hidden, and the un-hidden. It talks to you … so, you will find, does the city. Thanks for this refreshing interview, Georgie. Both you and Bonnie have added ‘pearls’ to the English-speaking community in Naples. But it’s really difficult to imagine Bonnie without Napoli . . . and Napoli without Bonnie! Thank you! You’re so right about Bonnie and Napoli – they understand each other and the partnership helps others to understand … although I’m not sure if anyone really understands Napoli. Bonnie has been a great help to me.